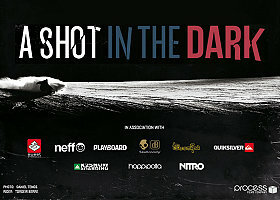 Following some of Norway´s most progressive snowboarders, A Shot in the Dark will be split into two separate films. The first is a trick film while the second follows a documentary format. Progression in snowboarding has been moving at an alarming rate over the last few years. A Shot in the Dark takes a look at the various channels of pressure riders face, and the harsh reality of injuries.